The initial public offer of Bombay Stock Exchange -- the first by a domestic stock exchange in India -- to raise up to Rs 1,243 crore was oversubscribed 11.85 times till afternoon trade on the last day of the offer on Friday. The IPO received bids for 12,80,04,066 shares against the total issue size of 1,07,99,039 shares, data available with the National Stock Exchange till 1330 hrs showed. During the initial share sale -- which is also a first by any company this year -- shareholders will sell 15.43 million shares estimated to be worth around Rs 1,243.44 crore at the higher end of the price band. The IPO of 15,427,197 shares of face value of Rs 2 each will constitute up to 28.26 per cent of the fully-diluted post offer issued share capital of BSE. Bids for the issue can be made for a minimum of 18 shares and in multiples of 18 thereafter. Last Friday, BSE had raised Rs 373 crore by allotting shares to anchor investors. BSE shares will be listed on NSE as Sebi rules do not allow self-listing for an exchange. Capital market regulator Sebi had given its final go-ahead to the draft prospectus for the IPO on December 30. Meanwhile, rival NSE too filed draft papers with Sebi last month for an estimated Rs 10,000-crore IPO. Among the existing BSE shareholders are Bajaj Holdings Investment, Caldwell India Holdings, Acacia Banyan Partners, Singapore Exchange, Mauritius-based arm of American investor George Soros' Quantum Fund and foreign fund Atticus. 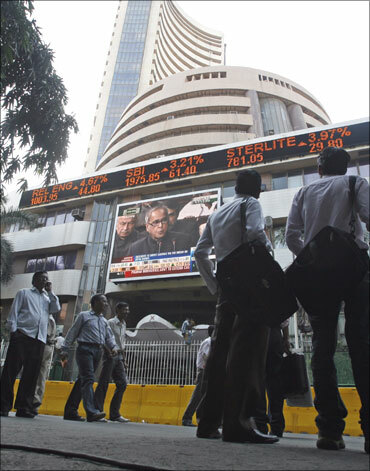 There are an estimated 9,000 shareholders at BSE, where mostly brokers held shares earlier. However, a host of foreign investors and domestic financial institutions have acquired shares over the years and the IPO will provide some of them an exit window to monetise their investments. BSE is the world's largest exchange by number of listed companies. It is India's largest and the world's 10th largest exchange by market capitalisation. The market capitalisation of BSE-listed companies stands at Rs 1,12,92,607 crore.